Do you know the difference between the breadnut and the breadfruit? Do you know how it got to Jamaica and why? How many types of yam have you ever eaten and how do they contribute to Caribbean food resilience? 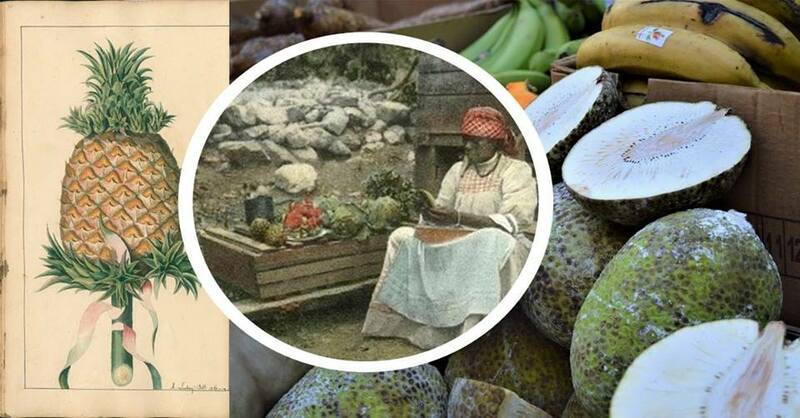 This workshop will explore Caribbean food histories and present day plant foods in dialogue with the collections at Bristol Museum & Art Gallery. These collections consist of painted and written accounts of selected flora and fauna found in 18th century Jamaica documented by a Scottish priest during the period of African enslavement. The Food Journey is an experience in which participants, whilst seated and blindfolded, have their different senses immersed in sensations, to tell a story of the history of common ‘world’ foods based upon our Elegancies of Jamaica collection. The Elegancies of Jamaica is a manuscript about the different foods grown in Jamaica in 1750. For more information & registration, see the Bristol Museum website. For further information, see the Community Centred Knowledge website.